Search and adopt a Cairn Terrier near you. No two Cairns are truly alike; each has distinct personality and character differences. As a rule, though, Cairns are somewhat independent. A typical puppy may sit on your lap for a few moments, but will resist being held for long, wriggling impatiently to get down and explore. Their intelligence makes them curious and extremely quick to learn. 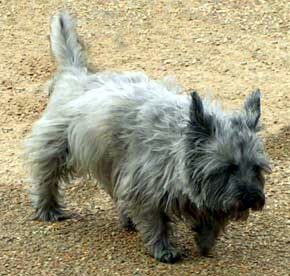 The Cairn Terrier is hardy, active and game.